Block cast metal, silver gray metal surface. Mainly used as additives in permanent magnetic material and non-ferrous metals. Sealed into iron drum, with single-layer plastic bag packed and Ar protection. Net weight of each drum is 50kgs, 100kgs or 250kgs. According to customer requirements, any special requirements to the products would be discussed. Cast massive, silver gray metallic luster. Sealed into iron drum, with single-layer plastic bag packed and Ar protection. Net weight of each drum is 50kgs,or 250kgs. Cast block or needle-shaped crystal, silver gray metal surface. Mainly used in permanent material, magnetostriction material and magneto-optical recording material . Sealed into iron drum, with double-layer plastic bag packed and Ar protection. Net weight of each drum is 50kgs,or 250kgs. Mainly used in RE permanent material, magnetostriction material, magneto-optical recording material and luminescent material. Sealed into iron drum, with double-layer plastic bag packed and Ar protection. Net weight of each drum is 50kgs or 100kgs. White powder, insoluble in water but soluble in acid solution. additive of garnet and magnet, metal halide lamp and controlling materials of nuclear reactor. Sealed in plastic bags with double layers, 50kgs/bag and then put in into steel drum. activation of phosphor and additive of garnet. Sealed in plastic bags with double layers (25kgs per bag), and then put 2 bags in into 1 steel drum(50kgs/drum). For lithium tantalate single crystal and additive in special optical glass. Packed in iron drums of 25~50kgs net each with inner sealed double plastic bags of 5~25kgs net each. For tantalum metal bar and powder, tantalum carbide, ceramic capacitors and additive in special optical glass etc..
For lithium niobate single crystal and additive in special optical glass. For niobium metal bar and powder, niobium carbide, ceramic capacitors etc..
For the additive in cemented carbide. For tantalum metal bar, tantalum ingot and additive in alloy. Packed in iron drums less than 50kgs net each with inner sealed tin foil bags in vacuum of 5kg net each. *Tta-01 is incipient fusion bar. 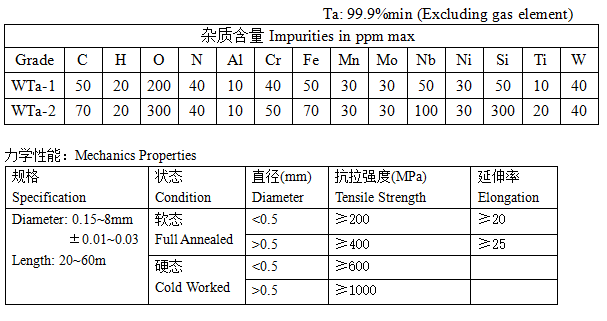 Tta-1 is sintered bar. For tantalum sheet or wire, or additive in alloy etc.. Packed in iron boxes less than 50kgs net each with inner brown paper. For tantalum sheet or wire etc..
Our plant can supply products meet standard ASTM or according to customer’s requests. For anode leads in capacitors etc..
Spooled and sealed with plastic bags, then packed in iron drums less than 20kg net each. Used in niobium processing products, additive in alloy and welding bars etc..
*TNb-01 is incipient fusion bar. 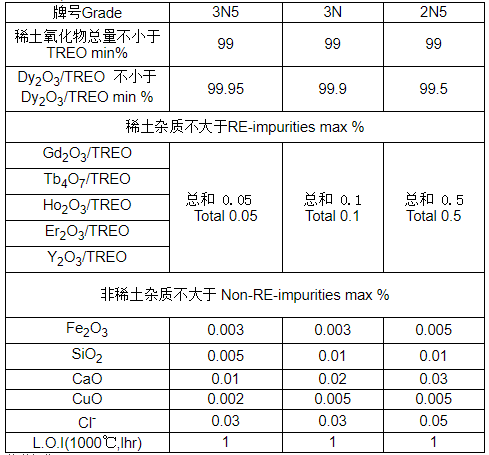 TNb-1 is sintered bar. 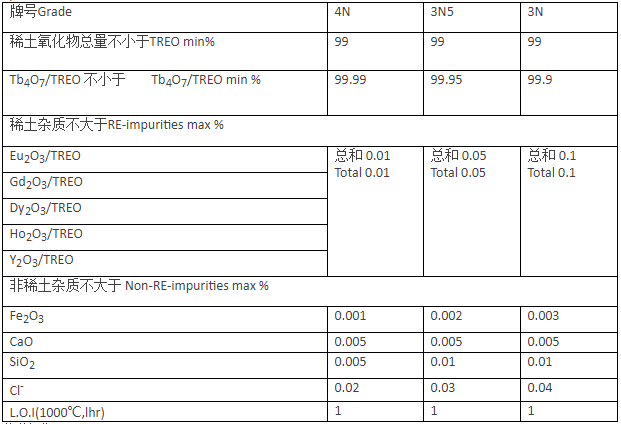 For niobium sheet, wire etc., additive in alloy and super conduction. For niobium sheet or wire etc..
Our plant can supply products meet standard ASTM or according to customer's requests. Used for high-voltage sodium lamps etc..